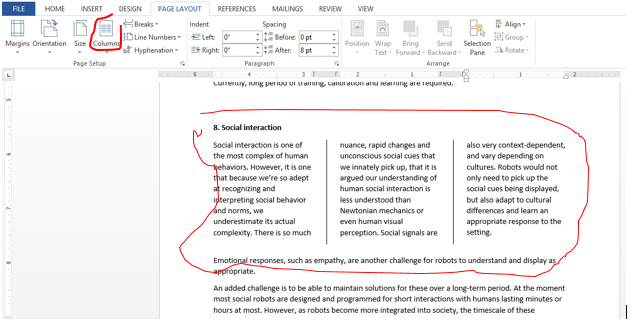 Columns in Ms word is dividing text / paragraph into vertical partitions. 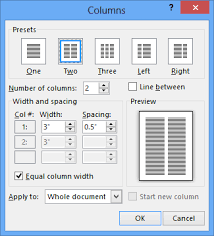 Columns are mostly used in journals, magazine and/or articles. 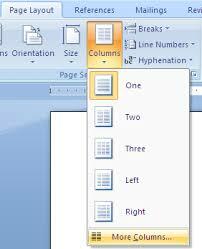 Columns are used to improved readability. Click on format then columns. The above dialog box shows the advanced setting of columns.